Information reaching us has it that, popular Ghanaian Highlife artist, Bisa Kdei has been arrested in The United States of America for trespassing. According to the report received from our source, Bisa Kdei was arrested for trespassing on American government property without a permit. Bisa Kdei is currently in the United States with his management to shoot a music video for his song “Asew”. 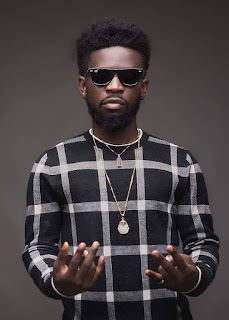 According to the source, Bisa Kdei was shooting the music video in a predominantly white community with his all-black crew and members of the community called the police for his arrest. Meanwhile, there has been an update on Bisa Kdei’s Snapchat account with the caption “I’ve been caught by the police”. Dawuroo.com is still trying to verify these reports. Stay with us for more updates soon.